Teaching cursive writing doesn't matter. Oh, gasp! I know, I know. Please read on, though, and I will explain why I have come to this shocking conclusion. "If you don't teach your children how to write in cursive, they will never be able to read the documents our nation was founded upon, or letters from their great aunt Sarah, and civilization will surely come apart at the seams." 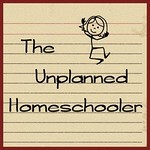 Those are the grave concerns I have read over and over since becoming a homeschooler. Some parents, in fact, list the failure to teach cursive writing in their local schools as one of the reasons they started homeschooling in the first place. 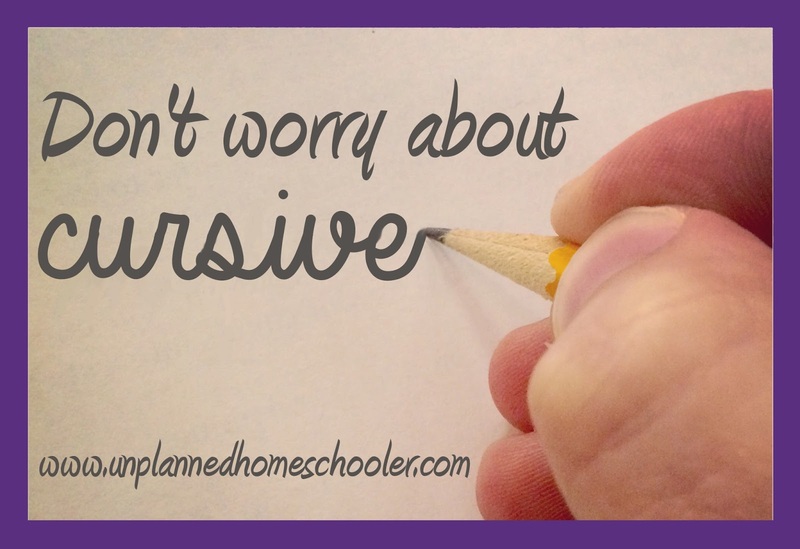 I'll be honest, I wasn't excited about teaching cursive when I became a homeschooling mom. I hated writing in cursive when I was in school. It hurt my hand, and it took me three times as long as printing. As soon as I was allowed to go back to printing, I happily did so and never looked back. But, as a student educated in the '80s, I learned to write in cursive as part of the standard curriculum, like it or not, and I figured I would teach my own kids in due course. As it turned out, though, I didn't teach my children to write in cursive, other than to sign their names. I put it off, in favor of other learning opportunities, thinking I would eventually get around to it. When my twins turned 14, and we had still never made it past the letter B in their cursive book, I admitted to myself that it might never happen. But that's when I made an amazing discovery. My twins could read cursive with no difficulties! Out of curiosity, after one too many of the scary doomsday cursive conversations on Facebook, I brought out samples of cursive writing, from handwritten notes in a scrapbook made by my kids' great grandmother to copies of historical documents. With very little hesitation, my 14-year-old twins read everything that I put in front of them. Now, my younger daughter was not able to read the cursive samples, but that was because she was not yet a fluent reader of print. My older two, who could both read printed English fluently, had no trouble recognizing the letters that look similar in both print and cursive, and could easily decipher the unfamiliar letters through context. I, of course, rejoiced, not only because I now realized I did not have to teach cursive formally after all, but because I was confident that my failure to do so would not doom America! Hooray! So, although the sample size of my little experiment was small, I am confident that anyone who can fluently read printed English can, with just a little effort, read the same words in the many varieties of cursive used over the previous generations. 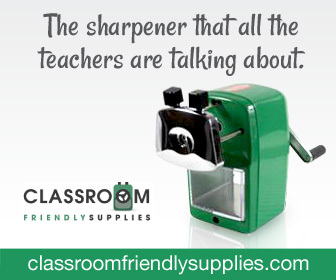 And with that knowledge, I tell you, you don't have to worry about cursive. Teach it, don't teach it... do what you want. Either way, your kids are going to be just fine.